Some days, I fret about what I will write, and other days, a post will write itself. Thankfully, this is one of the latter! I needed to go back to sleep this morning, which I did, but forgot to set an alarm. I woke about 1030 and managed to get out of my house in fifteen minutes flat, since care had got me ready to go out a few hours earlier. i thought that was the end of it, as Billy spun me round in the right direction and shoved the golf ball forwards. I take and go the long way round, following flattest path to the end of the street and across the road. Quick as anything, he’s caught up with me, asking why I didn’t cross at the dropped kerbs in the middle of the road. I show with my arm as best I can the path leading from the dropped kerb and how steep it is compared to the path I used. He gets it. He spies the grass, and decides that’s where the chair is going too. Thankfully the grass was dry so the chair coped fine. The only hiccup was were were too near the main road for my liking!! I veer off the grass, and he suddenly says he’s off. 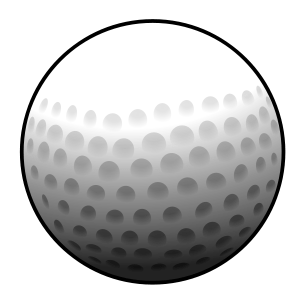 He shoves the golf ball on the chair in the direction I’m going and speeds off, back towards home, right down the ginnell at the side of my house, and beyond. I went to church with a smile on my face and a prayer in my heart, for Billy. Not caring that I was late, even though Billy said “You’re allowed to be late because you have a problem….! !” I met Billy BECAUSE I was running late!! Also, if only all Disability Awareness Training was as easy as it was this morning, ours would be a much more compassionate society to live in! The image shows two drawings, one that the illustrator drew of Shelly, based on her description of herself and the other, described by a stranger, It shows the difference between what we think we look like, and how others actually see us. Then I got to thinking, what if we did the same with the attributes of God? If you were to describe God, what would the illustrator draw? What would a stranger draw? In Vincent Donovan’s book ‘Christianity Rediscovered’ he talks of his experience as a missionary to the Masai tribes. He describes how much of evangelism is simply a case of saying ‘you think God is like X, but actually God is like this, like Jesus’. Often our perception of God can be as distorted as our perception of ourselves. This is partly why, I think, that God chose to reveal his full nature in the incarnation of Jesus Christ. In coming to earth, God was saying ‘this is what I’m like’. The portrait of God is Jesus. Want to know what God is like? Look at Jesus. For me, the answer is straight forward. I blog for several reasons. Firstly, because my parents encouraged me to find an outlet which used my gifts and also engaged my brain. As a person with significant impairments, it is very difficult to find enough to keep me occupied without exhausting myself at the same time. I have discovered, that this is a common problem. To know I am not the only one who faces this precarious balancing act on a daily, perhaps hourly, sometimes minute-by-minute basis is a massive relief. It is also useful to share coping strategies and tips, and simply to talk about the frustration this particular battle can cause. There are days where I am simply too exhausted to type. Additionally, if another part of my disability is out of kilter, say I am in excessive pain, or the bag is being particularly difficult I may well have no energy or head-space left to blog, as has been the case of late. That said, to have found an outlet which I enjoy, uses my gifts, engages my brain, and connects me with people who have similar interests is a joy. I have to admit, I needed encouragement, or a ‘boot up the backside’ to actually start writing. Bryony had been telling me for weeks that i should start a blog. When I joined twitter, she introduced me to Bex as the friend she had told her about who was going to start writing for BigBible, which Bex now works for, as they had been on the lookout for someone like me. Introductions made, I had no choice but to start. This was the boost I needed. It was a thrill to be one of the #digidisciples whose work featured in the top ten of most shared posts of 2012. The reaction to my first post was something which has stayed with me ever since, and I often bring to mind when I am in need of encouragement with my writing. This reason for blogging is also connected with the first point. It is God who has given me the brain and the gifts necessary to make a good go of my blog, and my hope is to use it for His Glory, as should be my aim with everything I do. Many of my non-Christian friends or family like to read my posts, so this is a motivation for me to show how my faith makes a difference to the difficult times in my life, of which there are plenty. I hope and pray this will be a witness to those who read it. I decided early on that as much as possible I would keep my blog ‘real’, by writing honestly, including the good, the bad, and the ugly, without dramatising things but also without glossing over the tough stuff. I wanted mine to stand out. Not just a single-issue blog but something that reflected the variety of my life, and also so that as many people as possible could find something in my writing which speaks to them or with which they identify. Occasional feedback from readers is proving this to be true. 3. Semi housebound, but reaching the masses without leaving my front door! For my first #digidisciple post for the Big Bible Project,. I wrote about the benefits of social media in general and twitter in particular when it is impossible to interact with the world in other ways. To go out, I have to book care, of which there are limited hours in a week, and/or a wheelchair taxi. Many of you reading this will understand just how expensive this can be. This all also depends on me having the finances to cover the cost of transport and having a good day energy wise to be able to go out. For both those reasons,. the places i go to are often limited to a specific list of places, or if in Leeds, a specific area meaning I frequently meet the same people. Online, however, it is a different story, and I can reach a much broader audience. My father recently referred to me as “a master blogger”, and commented on,the variety of people who read my work. I aim to be different from disability activists, as I do not feel this is my gifting, there are others much more adept at lobbying the policy makers, council leaders, whoever needs to be told. Having said that, I aim to inform as many people as i can about the complexities of life with significant needs, and deep Christian faith and to live as full as life as I can. I am aware of other disabled people I know who live fuller lives than I, even with a more significant physical impairment. Though I would sometimes wish my life was more varied, in general blogging is my way of being ‘out and about’; reaching people I would not otherwise meet and finding a creative outlet, while having a lot of fun at the same time! The explanation for my absence….!! I wrote the majority of the above last Wednesday, but had no time to publish the post. I am finishing this in the early hours of Monday morning, a day and a bit after early 30th birthday celebrations. My lovely friend who organised the bash asked my Dad to say a few words. I admit to having moist eyes! I may write another post explaining a little of what my Dad said that night, but he also referred to my blogging skills when listing some of the things I am now filling my life with. Apparently, I am a “Master Blogger”!! I am well and truly back. For your amusement, I have included a photograph of me at my party, which the lovely Bryony took of me. I am wearing a black sash which says “Birthday Princess”, and I have a large pink badge pinned to my jacket which says “I’m thirty, pour me another”, with a picture of a wine or cocktail glass on it! I have a big smile on my face. I didn’t realise until I saw this photo that I am sat underneath one of the ceiling lights, so it looks like I have a halo above my head! !